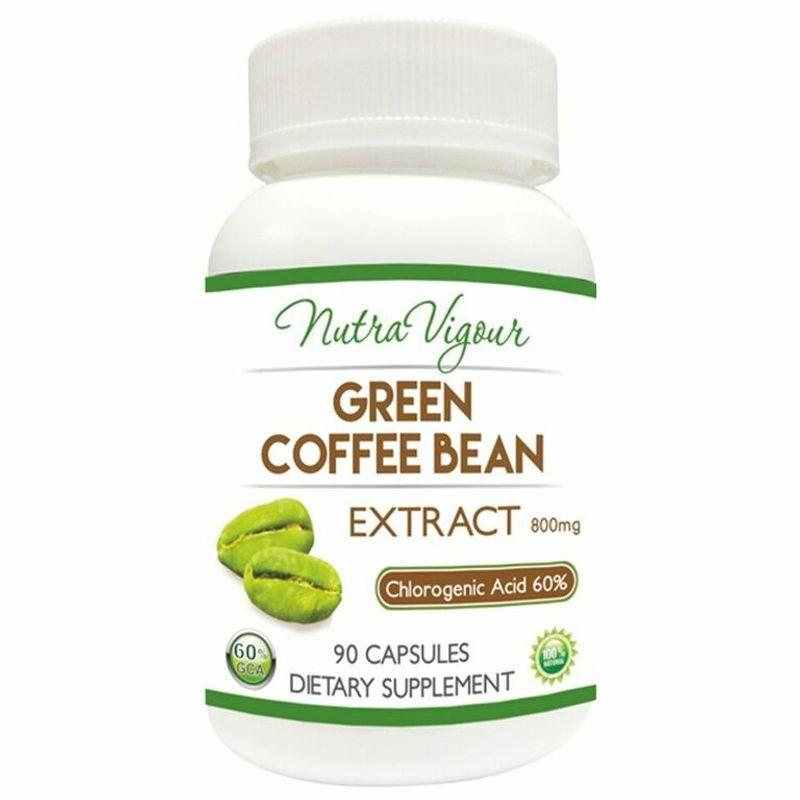 Nutravigour Green Coffee extract contains 60% Chlorogenic Acid (GCA) which is highest in its class. GCA is the main constituent of green coffee and a clinically studied weight management nutrient that has been shown to burn fat and support natural weight management. Our product features concentrated Green Coffee Bean extract with less than 1% caffeine (equivalent to 1/10 of a cup of coffee) and no added artificial ingredients. 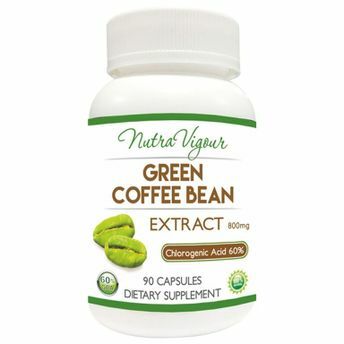 Only the Best Ingredients Made exclusively for those who want the very best, Our Green Coffee Bean Extract guarantees you receive both the highest quality and highest quantity of chlorogenic acid per serving on a daily basis. The key ingredient for managing weight is called chlorogenic acid. Chlorogenic acid has been clinically proven to slow the release of sugar into the bloodstream, while simultaneously boosting your metabolism and burning fat in the liver. These two mechanisms work together to inhibit the absorption of fat and eliminate weight gain. The managing weight effects of green coffee extract have nothing to do with caffeine. Green coffee extract contains 20mg of caffeine per serving, in contrast, an 8oz cup of coffee has approximately 180mg of caffeine per serving. Scientifically Proven Results In 2012, the U.S. National Library of Medicine published a randomized, double blind, placebo-controlled study that evaluated the impact and safety of green coffee bean extract as a managing weight supplement. Over 4 weeks, participants lost an average of 7 Kgs by taking GCA Green Coffee Bean Extract twice per day, making no other changes to their diet or exercise. On average, they lost 10% of their body weight and 16% of their total body fat. Moreover, they experienced no side effects of any kind. The product statements on this page have not been evaluated by the FDA. This product is not intended to diagnose, treat, or cure any disease.